Once again I have fallen behind on my posts for the color challenge :(. Ebony Seorn is a new up and coming designer on SL, She created this lovely gown and I asked if she could make it in Russet and she was gracious enough to do so. 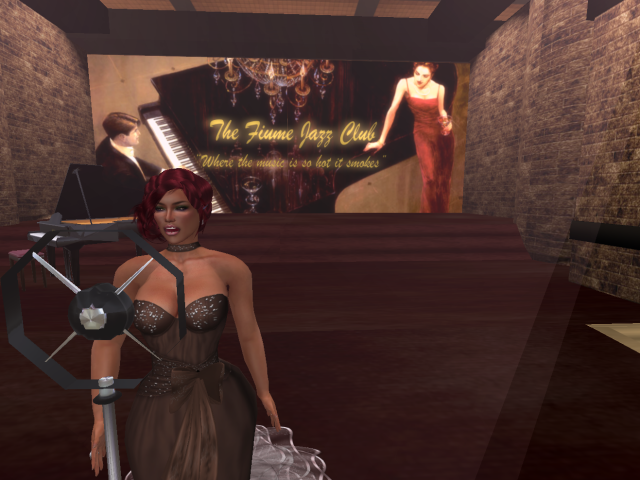 I thought I would try my hand at singing at the lovely Fiume Jazz Club ( I am a little biased as I own the club).